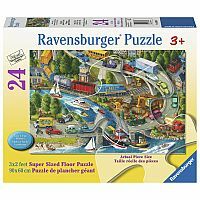 Ravensburger has the perfect puzzle for your pint-sized puzzler! Introduce your pre-schooler to the joys of puzzling with a super-sized, 24-piece Floor Puzzle from Ravensburger! With a wide range of characters and age-appropriate image to choose from, we’ve got something for everyone. Assemble 24 pieces to reveal a bustling port city en route to their long weekend vacations. 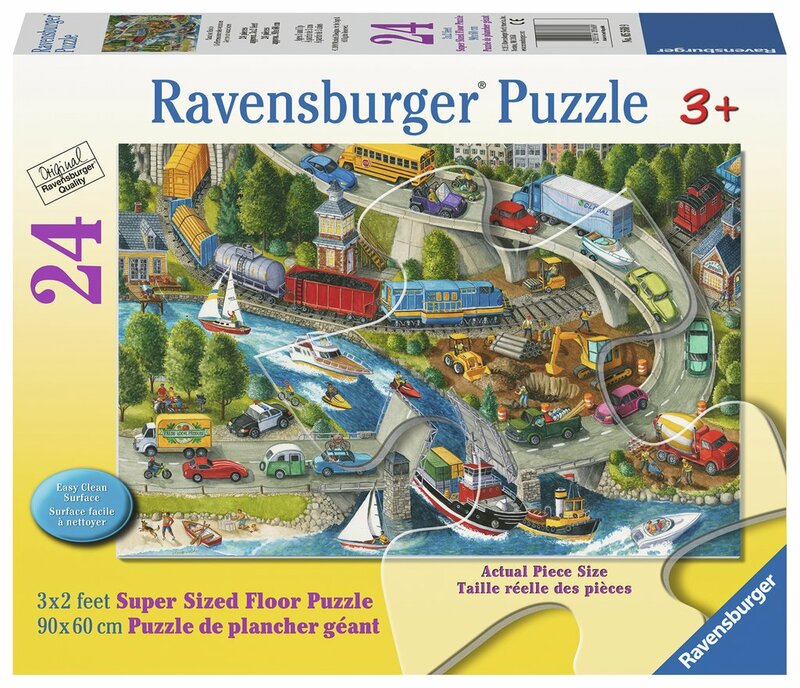 Ravensburger's 24 piece Floor Puzzle's oversized, durable pieces, are designed for small hands and display a portion of the image clearly on each piece to guarantee your three year old will be puzzling on their own in no time! Puzzling is the perfect way to spend time together, building relationships and making memories that last a lifetime. Puzzling also develops fine-motor skills, hand-eye coordination, memory, focus, and concentration skills. Building confidence one piece at a time! Plus, it’s a great way to provide unplugged play into your child’s day.